Hey Coffeeholics! Yes the time has come to celebrate the wonderful world of singlehood. I bet you've heard some snicker and call it the SAD (Single Awareness Day) day. I'm pretty much sure you can sense it in the air.. All those blood red hearts, super expensive flowers, and a lot of gooey and sappy and couple-ish stuff floating around like shiny iridescent bubbles that makes you wanna viciously pop it. Soooo if you got these symptoms, I feel for yah sis. (High-five naman dyan! Haha!). 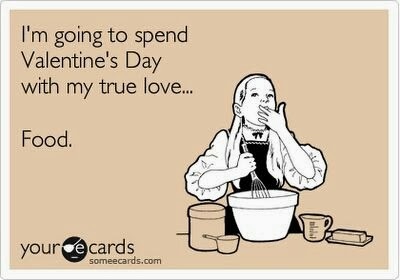 Seriously, let me tell you my lovetohate relationship with vday. I've hated the vday. 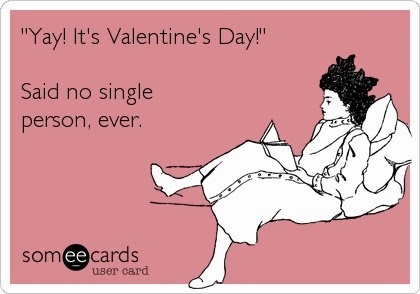 I've despised the vday. I've worn black and went into mourning on the vday. I've holed up in a corner and went all emo on vday. I've wanted to wipe that annoying sappy look on some random gal's face while she blissfully gushed over her rose bouquet. Yes I wasn't that bitter at all. :) hehe. But you know what, I've decided enough with the hate. Why should vday get the best of the worst of me? *flips table* I have every right to enjoy the hated vday occasion too!!! 1. Eat your HEART out. 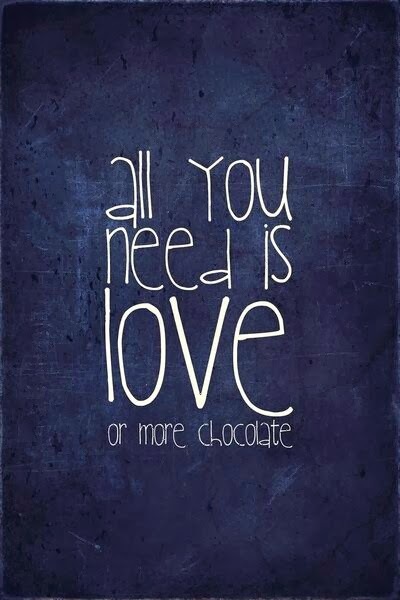 Coz FOOD = HAPPINESS! YES YES YES! Diet? No oh NO! Whatever mantra that fitness people has been brainwashing you with, well.. ignore it today! Time to splurge and treat yourself for something filling for your tummy. Get some of your other awesome single gal pals and go out and EAT! My advice is go for the "EAT - ALL - YOU - CAN" Buffets! If you can book and make reservations in advance, GO FOR EAT errrr IT! The downside of this option is that because its Vday, couples generally eat out as well. Hence it might be fully booked. But no worries, if you get to the buffet early, I'm sure you can get a spot. Say like.. 6 pm? Where to "buffet"? Have you tried Sambo Kojin? Just ate there at Eastwood with my coworkers and its totally worth it. All there sashimi, sushi, and yakiniku are fresh and awesome! And the service is really REALLY good! 2. Its SPA-len-TIME! Coz you deserve to pamper yourself. 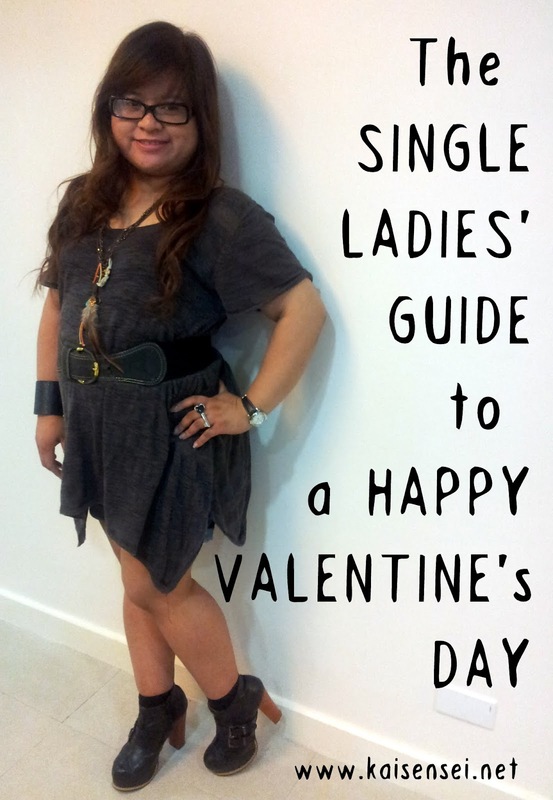 Yes my dear fellow single ladies, you deserve this! If you haven't been doing this to yourself on normal days. Well darn it, start NOW! I mean c'mon, put your "date money budget sana" into good use. Invest in YOURSELF! Part of being happy is learning to love oneself. :) Whether if its a beauty spa time or a massage spa time.. GO FOR IT! Want to go to an affordable spa but still has excellent quality? Try RILASSANTE SPA. Me and my family are super regulars there! The massage is very good, the service excellent, and they have packages that are easy on the pocket. Rilassante Spa is located at Banawe Ave., cor. Tirad Pass St., Banawe, Quezon City, Metro Manila. (near Orthopedic Hospital in front of McDonald's). Contact No. is 411-9036; 0917-5210304. 3. Movie Marathon Madness. Coz laughter is the best medicine. I recommend Comedy Chick Flicks. Or just plain comedy. 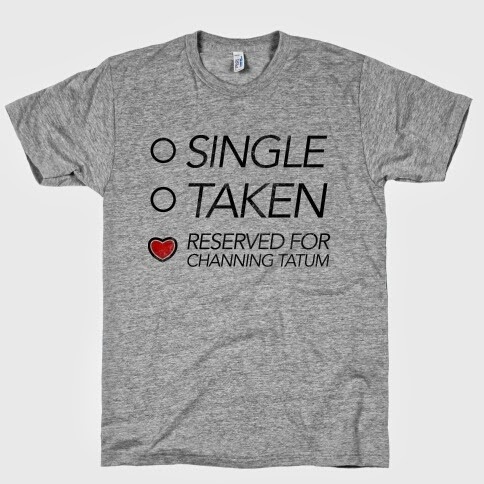 (or Channing Tatum Movies?!) SNL. Two Broke Girls (yes laughed over this! Love this!) Kdrama (google which korean drama-comedies are the best to watch). Jdrama (Like cute and funny love stories -- watch HANA KIMI. Tthis is really really good! one of my faves!). 4. 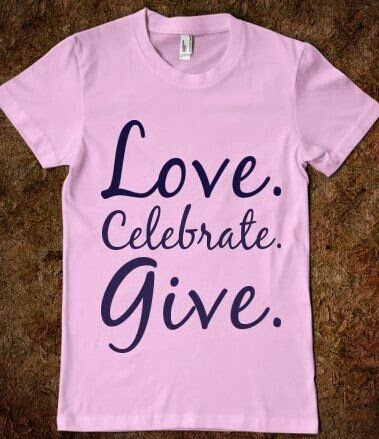 GIVING is LOVE. Coz giving is better than receiving! Yep, spend your vday by not focusing on yourself -- like being sad because you haven't received anything -- but instead focus on giving something to others. When I did this, it helped me focus not inward but outward. I enjoyed the whole planning process and find it fulfilling seeing the joy on other people's faces because someone remembered "them". Like blessing your coworkers or classmates by making home made cookies/brownies for them? Or better yet, bless someone who is truly in need. Like maybe this homeless person you always pass by the overpass bridge on the way home. So my dear coffeeholics, whether you are single or not, I hope this post helps you to your path in being a more happy person. 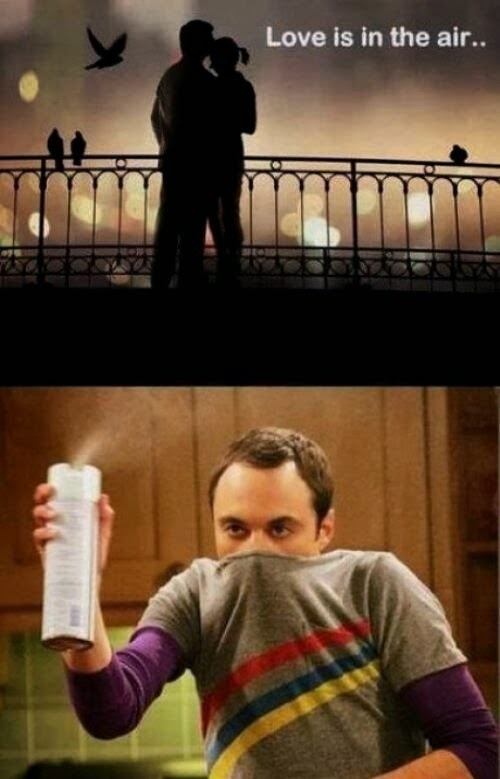 Even during Valentines Day. Haha. Kung di ka naman affected by this occasion, well then good for you! hehe. Buti ka pa. But for the rest, cheer up! I have followed my own advice. I'm going to get me some SPAlenTIME tomorrow. As for making vday sweet? Hello CHOCOLATES! Haha. Just bought Ritter Sport Dark Chocolate with whole Hazelnut. Yes solved! haha. So how about you guys, what's your plans for Vday? Hi! This is my first time here. :) I love your post and your decision to stay happy on this day. Ang galing mo! I have to admit I'm one of those sappy girls you see on Vday with the bouquet of roses from the hubby. Have a great day! Great entry! 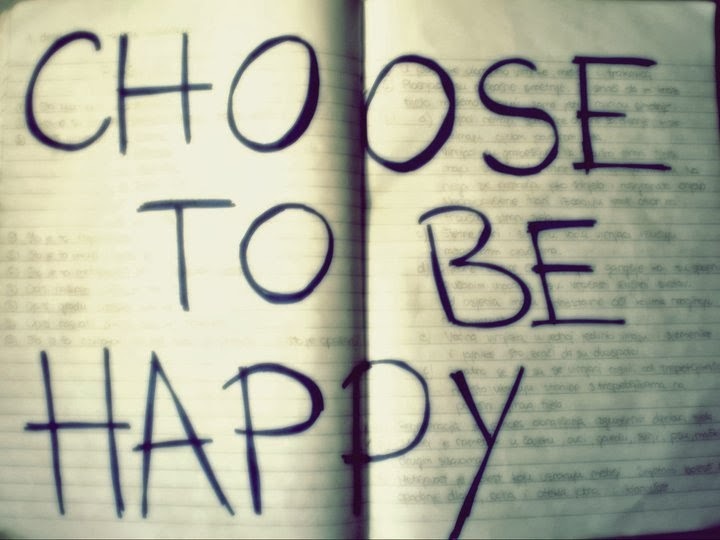 Tama, let's choose to be happy. Ika nga ni Nikki Gil, "nakakapangit ang pagiging bitter!" Haha! CORRECT! Nikki GIl had the right mindset. Thanks Michelle! You have no idea how much I reallly hated vday. Guess when one becomes older.. wiser na din? hehe. I figured out that the best way to deal with it is make that choice that I will be HAPPY despite everything. haha. Yes naging big deal ang vday sakin dahil single ako. pero buti na lang.. I eventually got the correct attitude. :) Thanks for dropping by! Home cooked dinner for my other half & a quality time together.